Vremi Silicone Baking Cups and 3-in-1 Apple Slicer Review & Giveaway! We were sent some Vremi Silicone Baking Cups and an Apple Slicer to review, we love food and baking so we couldn’t wait to check them out. Anyone who has been keeping up with my recent tweets will know since replacing my cooker I have gone on a baking binge. The girls and I love to bake and decided to put the baking cups to the test first! The Vremi silicone baking cups are £13.99 for a pack of 24 Multi-coloured & BPA Free Round Cake Moulds for Cupcakes and Muffins. 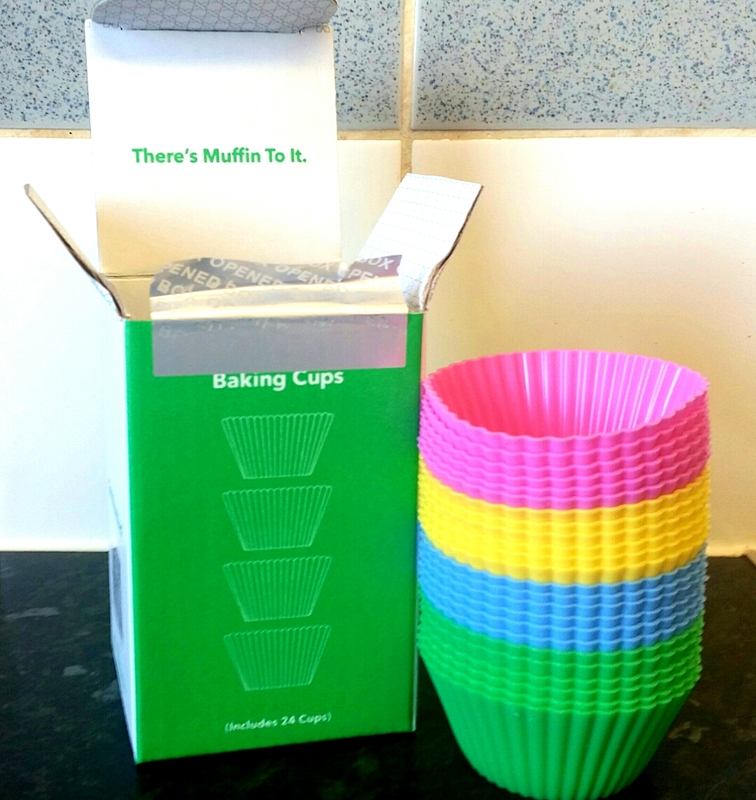 The baking cups are bright and colourful in pink, yellow, green and blue. The baking cups are non-stick as well as BPA free. They are oven and freezer safe and much to my delight dishwasher safe too! 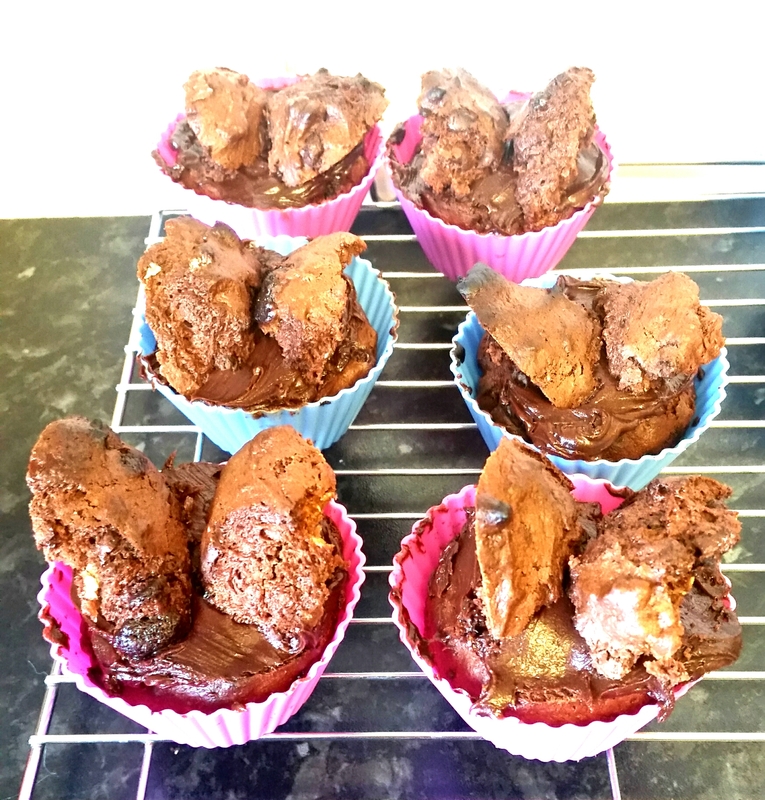 Ok so my butterfly muffins may not look that amazing but the fact they came out of the baking cups so easily really is! We’ve had similar ones before that have been tricky to remove the cake/muffin from. The Vremi ones I had no issue with at all and would definitely recommend them for anyone who loves to bake. The came out of the dishwasher spotless and will no doubt get plenty of use. The Vremi 3-in-1 Apple Slicer is £7.99 on Amazon and comes with 3 attachments for apples, potatoes and mangos. The blades are interchangeable and so easy to change. 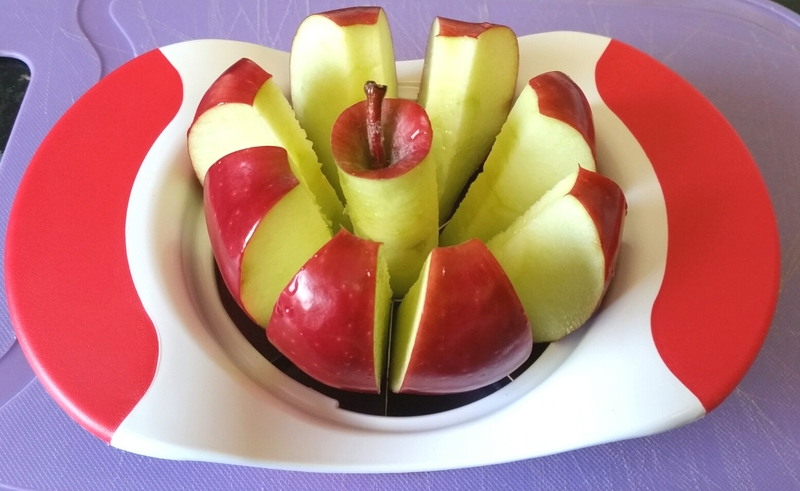 Apple slicing blades cut an apple into 8 wedges, perfect for my girls snacks. The potato slicer is great for homemade French fries and cuts 36 of them! If you love mangos then the mango corer is perfect as it removes the seed and slices the fruit. 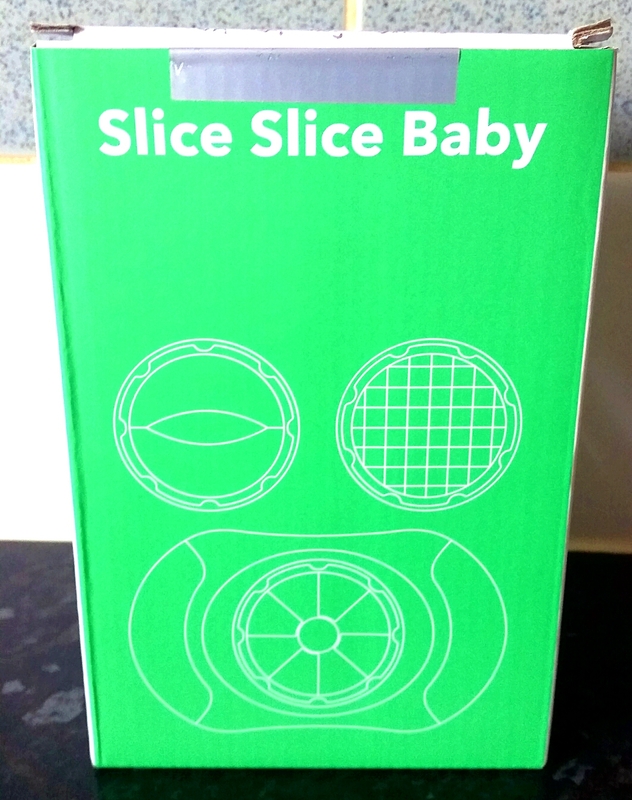 I love how easy the slicer is to use with lovely big soft grip handles meaning the girls can help. The blades are so much sharper than my previous apple slicer and slice straight through! I’ve binned my previous apple slicer (even though it was purple!) because the Vremi one is much easier to use. If you love the sound of these fab Vremi products then enter the Gleam competition below for a chance to win both!